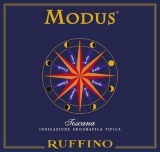 Here's a dense, layered super-Tuscan from Ruffino that will blow you away. At 50% Sangiovese, 25% Cabernet Sauvignon, and 25% Merlot, it has tons of rich fruit along with persistent layers that are savory and complex. Enjoy this now or for many years to come. At $30 or so, it's a steal. Raise glass!